Rated 5 out of 5 by RobinLu1 from Talk about an adventure... Wow. That was fun! A great way to spend New Year's Day. Didn't even notice the hang over. Rated 5 out of 5 by upsysydaisy from Once Again Greed Never Brings Reward I was surprised to find such entertainment in an SE game. It was exciting and fast-paced with a realistic storyline. I loved every second of it and quickly became totally engrossed. Wish there were more of these top quality games involving gov't, spies, hidden relics, secret missions, etc. Also, would love more sci-fi. All these dark fantasy games just drive me nuts!! It boils down to buy one or nothing lately, because 99 1/2% of BF games are in that category. So this game was absolutely right up my alley! 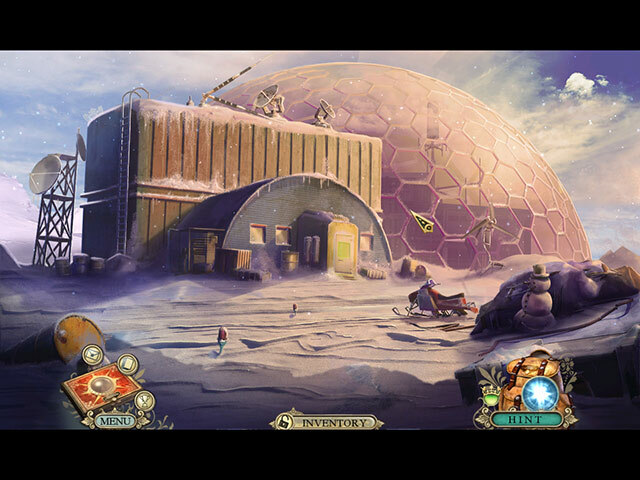 And truly, so far, I have never been disappointed with any of the Hidden Expedition games. This game offered great puzzles, HOPs, adventure, graphics, voices, everything was excellent in my opinion. I also loved the Fact Cards, a nice little extra. Give it a whirl, even if you just check out the demo...I doubt you will be disappointed! Rated 5 out of 5 by cejene from Enjoyed this Game Great story. Good ending. Enjoyed finding and reading the facts cards. Wonderful graphics. Good VO’s. 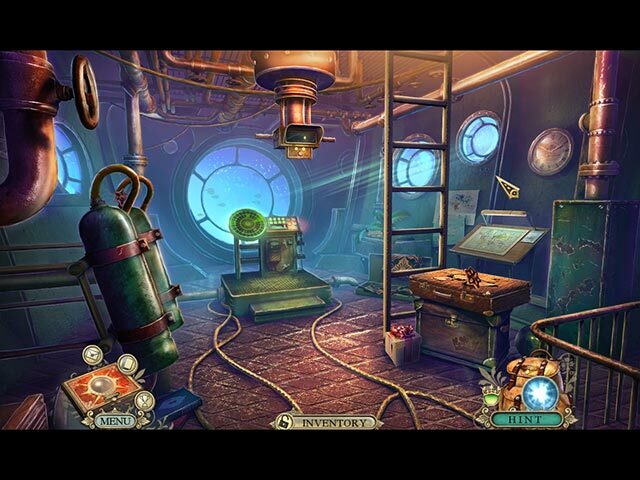 I am all for finding an ancient artifact and solving a murder! Rated 5 out of 5 by canadiangirl94 from H.E.L.P. is on the case Your mission should you choose to accept it, track down and obtain pieces to recreate the Crown of Solomon. It will not be easy and it will be dangerous, are you up to the task. 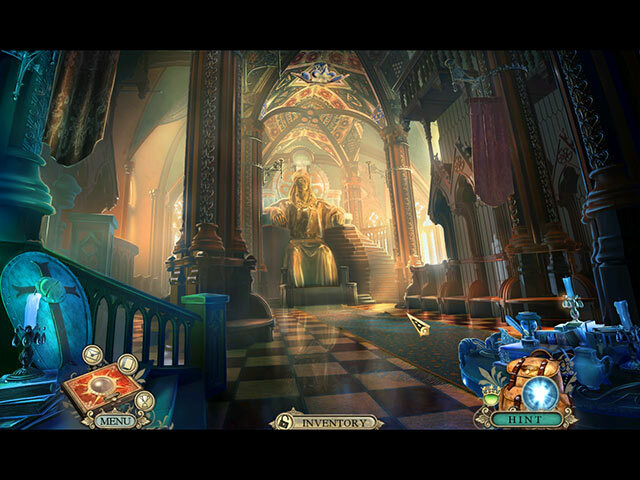 Like the other Hidden Expedition games, audio and visuals are top notch. Love how realistic the characters are (one of my favourite things about Eipix). HO scenes are great. Enjoy the info cards that you're able to find to learn more about people,legends etc. Great that's it fun and a little informative. Rated 5 out of 5 by denniann2 from looking fir the crown custom level. interactive map and great graphics. very clear. the devs did a great job. 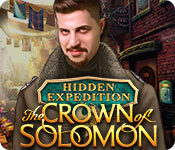 you are on an investigation to find a mr. redgrave and he is after the crown of solomon. there has been an agent in H.E.L.P. to go rogue and that is how you find out about mr. redgrave. you do have the help of another agent through phone communications. a sequel....just watch it through even if you don't watch all the credits and see for yourself. i believe it has been set up for one. another hidden expedition...always!!!! Rated 5 out of 5 by caretaker10 from Fantastic Game This game is wonderful. The story line is fun and the graphics are great. I love the fact that i can play in the "turtle mode" and be able to use lots of hints. I have some memory problems so i sometimes use a lot of hints and then go back to play again with nearly no hints needed. This has been the best game that i have purchased in months and the best, by far as a total package of FUN !!! There was not one thing in this game that i disliked. Even the music and that is rare for me to enjoy music in a game. I normally just turn the sound off but this music fit the game perfectly. Rated 5 out of 5 by Snowview from Immersive, exciting adventure The latest in my favorite current series went beyond my expectations. The video and sample shots for some reason didn't entice me but I tried the game because it's my favorite series and bought it cause the trial was great. What did I like? First, everything worked perfectly, which of course it should, but I can't say that about all the games recently offered by BF. Then, I loved the story. I got so involved that I felt I was there, rather than the ho-hum, this is so done before feeling I get playing many new games. I loved the feeling of being on an adventure rather than in a horror movie. There was plenty of suspense but none of this dragged out I've got to hurry tedium. The story was never lost or bogged down in endless interactions with objects. I loved the real-world villain and cared about the good people. The visuals were clear, colorful and realistic without being overly pretty and the HOPs were different and fun. And to top it off, a satisfying ending. Doesn't get any better than this.